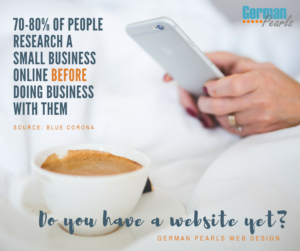 Our original post, 15 Powerful Free Computer Programs, has been very popular with German Pearls’ visitors. Since writing that post I’ve realized I left a few great programs off the original list. Also, I’ve learned about other free software downloads recommended by our readers through comments on the blog and on our Google + posts. 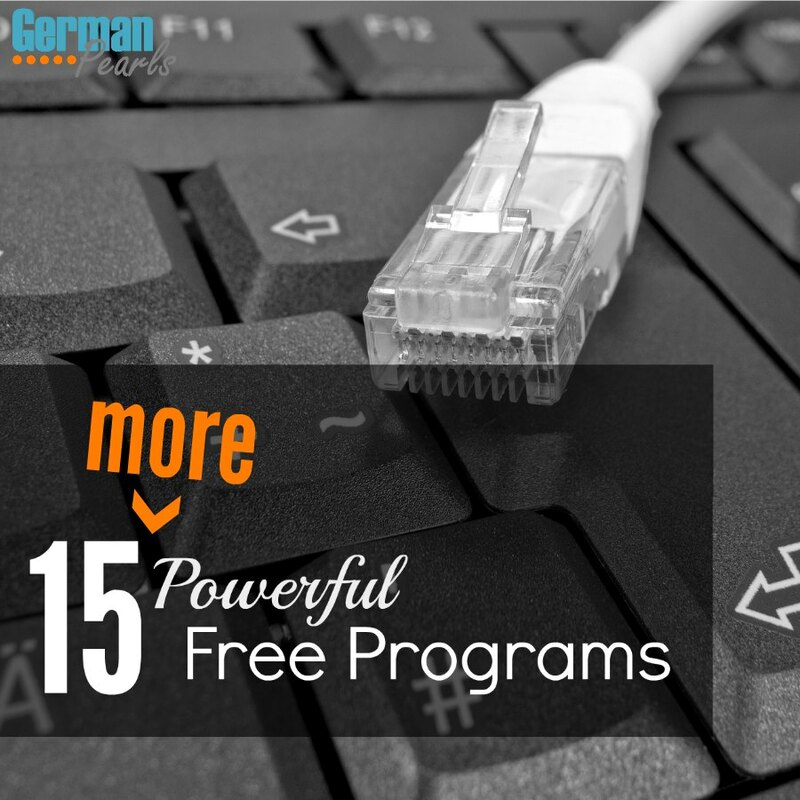 So, without further ado, here is our list of 15 more powerful free programs. Irfanview is a graphics viewer available for Windows. It is free for personal use or, for a small fee, can be used for commercial purposes. There is an impressive number of file formats that this program can view and an even more impressive list of features. If you’re looking for help with Irfanview, there’s a wealth of information on their forum page. MakeMKV is a free program (aka transcoder) which allows you to convert video into the MKV file format. This format allows you to store video, audio, chapters, subtitles, metadata, etc all in one file. MakeMKV can be used to save a copy of a fully functional DVD into one file on your computer. Handbrake is a free, open source, video transcoder. This is just a fancy way of saying it’s a free program which will allow you to convert a video from one filetype to another. One of the best features of this program is its filetype presets. Let’s say you have an .mkv video that you want to play on your Apple TV. You load the .mkv file into Handbrake and select the Apple TV from Handbrake’s presets. The program will then tweak all the settings necessary to create a video your Apple TV can play without you having to know anything about editing video files! Creating videos can be a daunting task. Windows Movie Maker ’s simple interface makes a complicated process seem feasible. The Microsoft website doesn’t offer a download for a Windows 10 version of Movie Maker but the Windows 8 appears to be compatible from my experience. Create your own radio stations and listen to music you love with Spotify. Download the player to your computer, type in a song or artist you like to create a station and rock out! Spotify has a free program which allows you to play the radio (with ads). If you like it and prefer to upgrade you can get ad-free listening and the option to pick songs and play music offline. you can use the free Cute PDF. With Cute PDF installed on your computer you can create a pdf by selecting print from the program and choosing Cute PDF as a printer. Foxit Reader is another free program which gives you the ability to create a pdf document from a program or from a scanned document. Add comments, insert photos and videos and share all through the Foxit program. When most people think about creating a document on the computer they think about Microsoft Word. When they think about creating a spreadsheet, they think Microsoft Excel. These programs are part of Microsoft Office . In previous years Office would cost you hundreds of dollars. Now, with Microsoft’s new pricing structure, you can purchase the use of the most up to date Office programs for a small monthly fee. If you prefer not to pay for office, you may choose to go with Open Office. 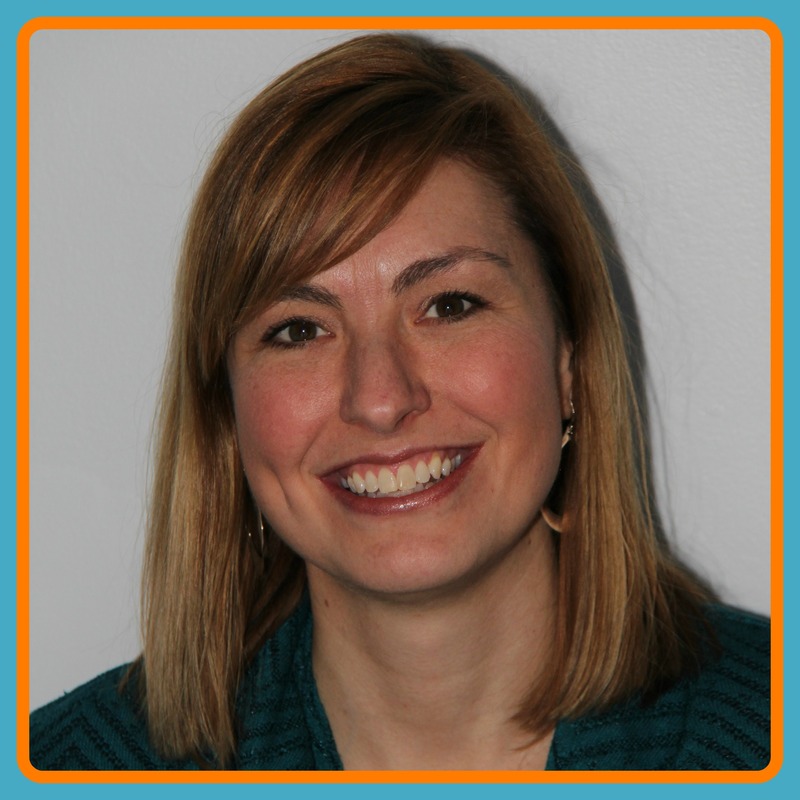 Open Office includes document, spreadsheet, presentation, drawing, database and math programs – absolutely free! Our previous list included Evernote as a resource. OneNote, Microsoft’s version of a note-taking, to-do list mastering memory keeper is also very popular and powerful. Download the app, use OneNote online or get the free software download for your computer. Filezilla offers free client and server ftp solutions. It’s an open source software with its own Wiki page and forums for support. If you want or create a CD, DVD or Blu-Ray Imgburn can help. With this free program you can create an image of an existing disc to save on your computer, burn a file to a CD, create a disc from multiple files and more. Their site offers guides and a forum if you need help using the product. I’m sure you’ve experienced a computer that’s gotten slower as it has gotten older. As technology continues to advance at amazing speeds this is going to continue to happen. However, that doesn’t mean there’s nothing you can do about it. There are ways to clean extra, unneeded files on your computer to keep it running as efficiently as your hardware will allow. Rather than trying to clean up your computer yourself, CCleaner is a free program which will do it for you! CCleaner will clean out your old files so your computer runs faster, browsing on the internet is safer and the computer boots up faster. If you choose to upgrade to one of their paid options you can also get real-time protection, scheduled cleanings and file recovery tools. Note: If your hard drive is filling up with your personal files you may want to check out our post to help you figure out what’s taking up all the space on your hard drive. In our post about how to download YouTube videos we talk about how careful you have to be when downloading free software online. You need to read each window that opens up carefully and uncheck the boxes for any additional programs that they attempt to install on your computer. This is the problem that Unchecky attempts to resolve. With Unchecky installed on your computer it will monitor your computer and uncheck boxes for additional programs or for programs that attempt to change your browser settings. 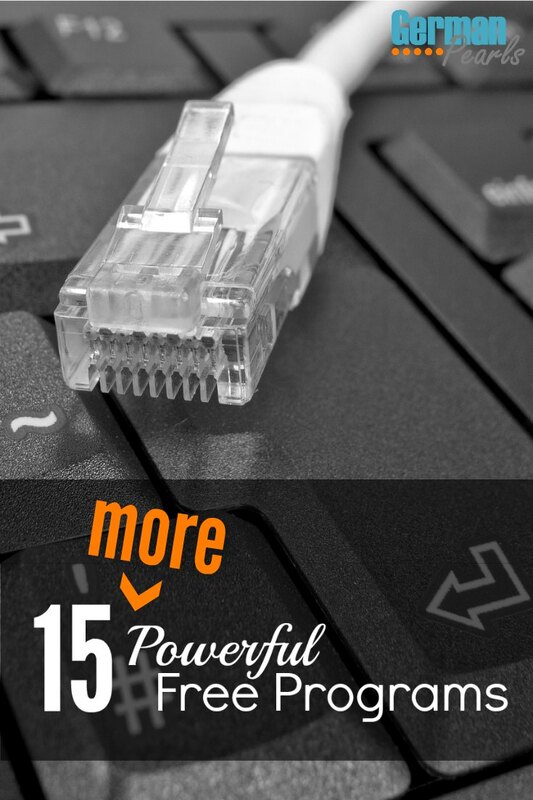 So, there you have it, another 15 powerful free software downloads. Between this post and the previous one we’ve listed 30 free programs worth checking out. I have a feeling the lists are far from complete. I’d love to hear your thoughts and recommendations on other programs we should check out. Leave a comment below. I haven’t used that but you’re not the first to mention it – I’ll have to go check it out. Thanks! I haven’t heard of that one. I keep changing…I’ve used Avast, AVG, Avira, Eset…. 🙂 I’ll have to check out 360 total security. Thanks for the tip. Good day, I have been working in the IT field for the last 15 years and a few years ago i stumbled on Panda FREE antivirus and when i was testing it out i found it would detect things that AVG or AVIRA and AVAST would not detect. Also the feature that really sold me on this free product was that it can Vaccinate your USB drives so you can safely take them to another computer and back to your own without having to worry about bringing back a virus. Panda sounds like a great resource. I haven’t tried it. I sometimes wonder if any one program could pick up every virus. Unfortunately the hackers are always one step ahead it seems. good list. you might want to checkout Greenshot, a screenshot capture app. I use it often in Windows. Thanks Jabon. I always love finding new software – I’ll check that one out. I’ve used Greenshot in past when I was coaching football. Worked great in capturing a screenshot. You’re welcome – thanks for checking them out. Another good photo editing resource is Gimp.com, very good at virtually any type of photo you make want to change or improve. Yes, I’ve heard good things about that one too. Thanks for sharing!! You’re welcome. Hope you found something useful! Great Article Thanks Amy for sharing with us this wonderful info. Thank you for your info! But as for MakeMKV, it is NOT a video converter that converts videos to MKV. It is a Bluray and DVD ripper that rips Bluray or DVD discs to MKV. And yes it is free, but for DVD ripping. For Bluray discs, it costs $50 and I see no discount available for it. Thank you, you’re right I should have called it a ripper. Too bad about the blue-ray part. It’s such a handy tool for DVDs.